Co-locating or integrating distributed solar and wind power resources to maximize their output and contributions to electricity transmission and distribution grids isn’t a new idea. 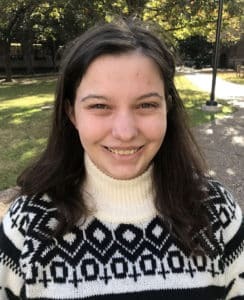 Two researchers at Rice University in Houston modeled solar and wind power production at sites across Texas and found that solar and wind resources exhibit complementary peaks and troughs in production at annual and daily levels, indicating that combining them can yield substantial benefits, both to power grids and consumers. The results of their research, “Assessing solar and wind complementarity in Texas” published in Renewables: Wind, Water and Solar (2018)5:7, indicate that ramping up solar and wind power generation and taking advantage of their “complementarity” can yield significant gains in grid reliability and resilience, as well as significantly reduce utilities’ operating and capital expenditures and consumers’ electricity bills. Based on our metric for reliable power production (which looks at the minimum power production you can expect 87.5 percent of the time), combining strong wind and solar sites or wind from different regions could more than triple the amount of consistent energy output compared with the sites taken individually. Wind and solar power are now the cheapest forms of electricity generation in Texas, as well as other U.S. states – and that excludes their human and environmental health benefits as compared to conventional, fossil fuel-based forms of power generation. Wind power supplied 17 percent of electrical power generation on the Electricity Reliability Council of Texas (ERCOT) grid in 2017 which spans most of the state. Solar, although growing fast, provided just one percent. Those percentages are poised to rise further due to a forecast rise in demand and the retirement of aging coal-fired power plants, as well as ongoing declines in the cost of solar and wind power generation. Four coal-fired power plants in ERCOT’s service territory closed last year, the researchers point out. Nonetheless, coal-fired power generation accounted for about one-third of power generation on ERCOT’s grid in 2017. Managing the variability of solar and wind power generation, as well as stabilizing resulting fluctuations in grid voltage and frequency they can cause, still poses substantial challenges given the capabilities and condition of transmission and distribution grids, however. One of the biggest concerns with large-scale wind and solar energy is their lack of reliability, and our study serves as a practical demonstration of academic methods assessing resource reliability alongside an ERCOT operational measure. – Slusarewicz said in an interview. “In Texas specifically, ERCOT is facing a potential shortage of power moving into 2019 due to a number of coal plant closures, so information on how to replace these sources with reliable energy production is important for the next few years as we fill the gap. ERCOT already looks at the potential for wind and solar to displace coal, but these analyses don’t consider the potential for these resources to bolster each other during otherwise low-production periods,” Slusarewicz explained. “Part of the motivation behind this work is that in other research we’ve shown that coal power plants in Texas are both losing money and causing hundreds of deaths per year via their ‘unscrubbed’ air pollution emissions. Four of what we found to be the dirtiest plants closed last year. Thus, there’s a lot of interest in how big of a role wind and solar can play in replacing coal,” added Rice University Associate Professor Civil and Environmental Engineering and report co-author Daniel Cohan, who came up with the idea of exploring solar and wind power complementarity in Texas. Various studies suggest that aggregating and integrating output across distributed solar and wind farms can resolve these issues. Isolated from power grids outside the state, ERCOT’s grid offers an excellent test-bed for the analysis of solar and wind power integration, the Rice University researchers point out. Solar and wind power generation are said to have high complementarity if peaks and troughs in their output tend to occur at different times of the day or different times of the year. High complementarity indicates that aggregating and integrating their output would result in greater grid stability and reliability, greater emissions-free, renewable power on the grid, lower grid operations and maintenance costs and hence lower the cost of electricity to consumers. Slusarewicz and Cohan found that solar and wind energy patterns in Texas complement each other very well. “As expected, pairs of solar sites were strongly correlated, with correlation coefficients ranging from 0.81 to 0.92. Pairs of wind sites were less strongly correlated. In particular, pairing a WT (West Texas) and a ST (South Texas) wind site led to correlation coefficients of just 0.11–0.37…The lower correlation coefficients across regions illustrate the value of siting wind farms in different parts of the state,” the research team wrote in their research report. 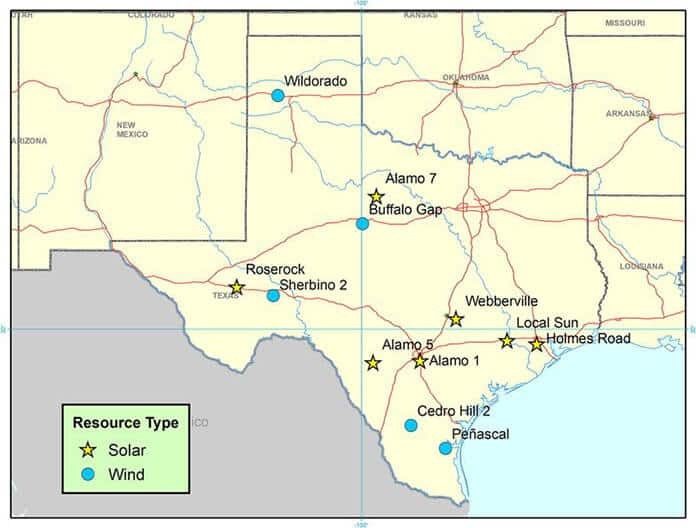 Electricity generation from pairings of Texas solar and wind sites exhibited inverse relationships, or put another way, they had negative correlations. That translates into higher complementarity. “The average correlation between solar sites and wind sites was − 0.287, suggesting a weak inverse relationship between solar production and wind production. In particular, solar was more inversely correlated with the WT wind sites (− 0.31 to − 0.37) than with the most coastal of the ST wind sites, Peñascal (− 0.12 to − 0.15). Cedro Hill 2 had an intermediate level of inverse correlation with solar,” according to the report. Individually, West Texas wind produced the most electrical power annually. South Texas wind and solar followed, respectively, Slusarewicz and Cohan found. Furthermore, they found that solar production is complementary with both West Texas and South Texas wind power generation over the course of the year. In terms of complementarity and the potential value of solar-wind and wind-wind integration, West Texas wind paired with solar provided the highest levels of firm capacity at an 87.5 percent threshold. As a result, they concluded that combining solar and West Texas resources could increase the reliability of power generation on an annual basis. 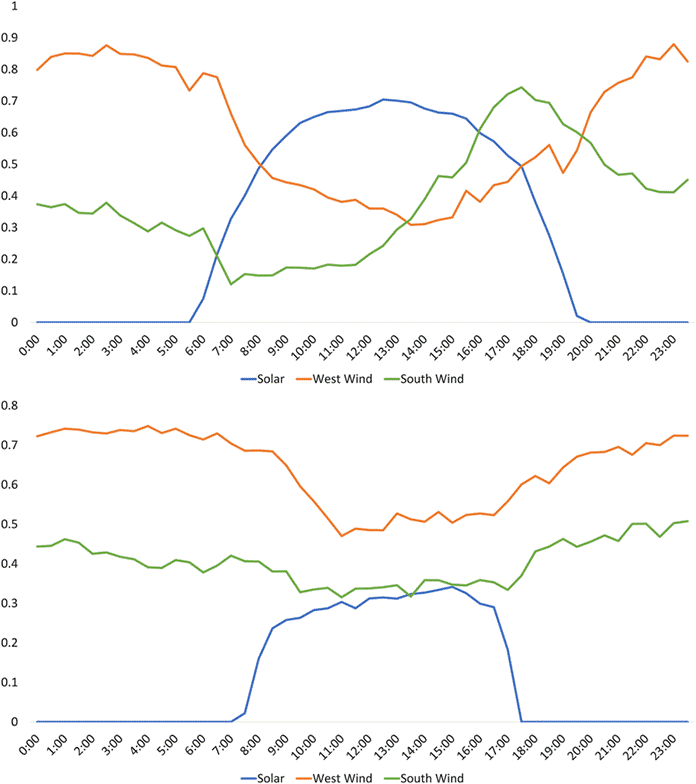 Zooming down to a daily scale, research results showed that peak power production periods for West Texas wind, South Texas wind and solar all were different. South Texas wind power production peaked in the later afternoon, which coincides with a peak period of grid power demand. “This suggests that combining solar with ST wind might increase reliable power production over the course of a summer day during hours of high demand,” the researchers concluded. Slusarewicz and Cohan also compared sites’ hourly production with peak-period grid demand throughout the year. That yielded additional insights. “Solar production was the highest during summer hours when load on the ERCOT grid was highest, and WT and ST wind productions were the highest during winter peak hours,” according to the report. All that said, substantial hurdles exist in order for Texas to take advantage of the complementarity of its solar and wind power resources. Transmission capacity will be the biggest hurdle. Our power grid was designed to transmit power from massive coal, nuclear, and gas plants to big cities, but solar and wind require transmitting power from scattered parts of the state. Cohan noted that Texas launched an innovative Competitive Renewable Energy Zones program and invested USD7 billion in new transmission lines “to open up windy parts of West Texas for development.” Those lines are nearing full capacity, however; and the state isn’t prepared for the next round of growth,” Cohan added. “There’s now 40 GW of wind projects and 40 GW of solar projects in the ERCOT queue compared to under 20-something GW of wind farms and 2 GW of solar farms in Texas today, but most of that can’t be built without enhancements to the grid,” he explained. 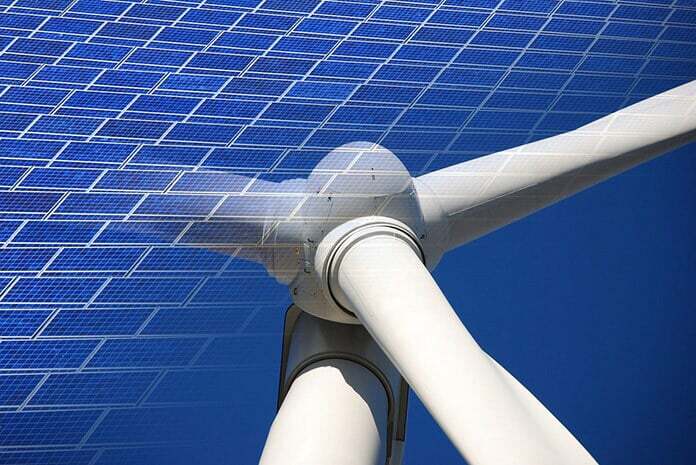 Some innovative approaches will be needed to combine Texas’s solar and wind power assets with energy storage systems and flexible demand assets in order for renewables to reach very high percentages of the overall energy mix in Texas, Cohan added. “But with solar providing just 1 percent of our power and lots of flexible natural gas on the grid, there’s enormous room to scale up solar to complement West Texas wind and displace the need for coal,” he told Solar Magazine. Do Slusarewicz and Cohan’s research results have broader-based implications? “In any context, increasing the combined reliability of wind and solar energy have major benefits: we reduce the need for battery storage, and we increase the number of fossil fuel plants that can be displaced by renewables. Thus it’s valuable anywhere to think about planning in terms of which additions improve regional reliability rather than just resource volume, and we’ve shown that resource complementary can have a significant impact on reliability,” Slusarewicz said. Texas is fortunate in that it has an abundance of solar, wind and other zero- or low-carbon energy resources it can take advantage of, Slusarewicz pointed out. Capitalizing on their complementarity can yield benefits even in states with less in the way of renewable energy resource potential, however, she added.